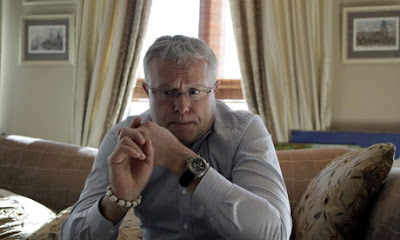 MOSCOW, Russia -- Alexander Lebedev, the Russian owner of Britain's Independent and London Evening Standard newspapers, suffered another bruising blow to his business empire today after police carried out a raid on his luxury hotel in Ukraine. Lebedev said he had nothing to do with the article. "He [Yanukovych] thinks I was preparing the article myself. He thinks a publisher like myself has influence on British newspapers." It appeared just before Yanukovych was to travel to London, compounding what the president perceived as a deliberate slight, Lebedev said. The tycoon consistently denies exerting any influence on his British newspapers. Today Lebedev said he had invested $100m in the complex, and was one of the region's biggest taxpayers. He added that he would close down the hotel on Monday, plunging locals into unemployment, if the tax authorities continued their campaign. He also alleged that Yanukovych was trying to seize the Hotel Ukraine in Kiev. Lebedev is a co-investor with the Ukrainian government in the hotel, and has spent $40m on its renovation. The development has been mired in legal battles.